So you are either done with you bachelors or will be done with it? You are now thinking about what should you do and what you should not do? “Should I study or Work”, this question keeps coming to your dreams quite often and the answer to this is not there in the books. Then what should you do? Should you just go with the flow of hunting jobs for yourself? Or should you sit and ponder in order to figure out what your heart really wants? See, before you stumble upon a decision for yourself, its super important to realize your strength and your weakness. If at all you are giving yourself the following reasons to study, then perhaps one thing is for sure. You should just not go for masters and start looking out for jobs or career options that interest you! “Am I ready for work”? “I need to make up for my average Undergraduate Degree”. If so are the reason you are giving yourself for a masters degree, then probably you are wrong. This is the basic thing you must do. One, obviously, needs to find out what field their interest lies in. Then you need to work more on it. Once you get the answer to this, “Should I study or work” gets resolved on the first go itself. 1. You must, first, contact an expert of that field, attend seminars or consult a respective consultant. 2. You may go for an internship to make sure whether your choice is best suitable for you or not. 3 idiots might reflect this title the best. Entrepreneurship- Be your own Boss! This comes to us for 2 reasons. First is if we think we have a solution to a problem that people around us are facing and second is we don’t want to work under pressure and be our own boss. In this era of 21st century, nobody wants to work under pressure. Everyone wants to be a Boss. But this is not a cake walk. To build a brand for yourself and to be able to take out salaries of your team, requires key essentials and that are: Heart, Smarts, Guts, and Luck. If you possess all 4 and are ready to take a risk then perhaps you can look at this option. The way to this can be opening your own firm, company, institute, website, store, BPO etc. Undoubtedly, this option is available even after completing 12th grade/diploma. But I would suggest completing at least your graduation first and then go for it. There is this very famous joke, that we tend to hear a lot these days and that is CAT has become even more famous than IAS [hahhahaha]. Isn’t it? There is hardly any difference left between getting a graduate degree and an MBA degree, provided if you are not from IIM’S or any other big institute. If you have the ability to clear CAT exam with a good percentile (basically, getting an IIM ), then you should go for MBA blindly. Rest, you may drop a query about providing a list of good institutes and I shall pay in replies. Remember, this field has a long way to go. Even becoming a doctor has become much easier than becoming a professor. Nowadays, becoming a professor needs a Ph.D. degree and for that one needs to get a Master’s degree and also to clear NET exam! By just clearing your Master’s program and clearing NET can make you win a seat of Assistant professor and years later, a professor. So guys, think before you choose this. This will answer your ambiguity of, “Should I study or work” and bring clarity. Tie up your laces because this is not a joke. This needs your full dedication, patience, time investment, the stability of mind, consciousness and passion. 92% of youth prepares to enroll themselves in government services. Out of at least 50%, people actually prepare to their level best. And out of that 50 %, approximately 25% grab it. Check for yourselves, where do you stand. You may get into these fields as well after looking at their norms. If you want to get into any field, you first need to know if you can fit into it or not. This means, first you need to read its terms & conditions. However, if Kaushal Beauty is the only channel that you often watch on youtube, then perhaps you should seriously look at pursuing a career as a Makeup Artist. There is no harm in becoming one as you can pursue entrepreneurship along with making money. 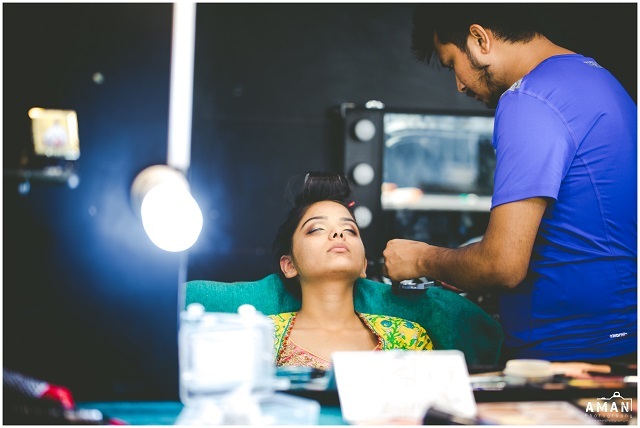 Yes, you can easily earn up to Rs 3 lacs a day for executing 6 bridal makeups in a day. So yes, think of it as a serious career opportunity and Good Luck! The noblest profession is teaching- with lesser earning but more social service. This is what I believe. Everyone is a teacher for somebody but being a professional teacher is not anybody’s piece of art, it needs passion and concentration. Today, a teacher is called an Educationist since she/he not only teaches or makes you literate, but it is the value system that gets imparted in you and makes you educated. B.Ed, D.El.Ed, B.A/ B.Sc. + B.ed, M.ed are such courses for it. Thinking about being an Air Hostess? Now, men may also become one. Therefore, it’s not air hostess but more, a Cabin Crew. Also, a pilot is also a part of that crew. Hence, you can become either of it depending upon your interest. You may go for ‘walk-in interviews’ for some companies or you may get a proper diploma degree for being a Cabin Crew. But, for being a pilot you need to do a different course. Doesn’t this make you think, that “Should I work or Study” is totally your choice and should be decided by you solemnly. Now, ladies can also be the part of Merchant Navy, airforce and defense sector. For Merchant Navy, one must have cleared his 12th grade from Non-Medical stream and must be eligible as per their norms. There are several courses for this but lesser institutes. its institutes are mainly established near waterways like Bombay, Calcutta etc. For the Army, the core thing is to have a strong heart. Rest are just their terms & conditions. NDA is the common entrance exam for it. You may read further details here! Above are some of the vocational Courses you may enroll in. These courses will build you to provide service i.e, will train you to work in a particular field. They are less time consuming and more result oriented. There is a fine difference between being an MBA & a PGDM. Likewise, there are some courses that provide a post graduation degree but in the diploma terms. These courses are also less time consuming but more effective to find jobs. 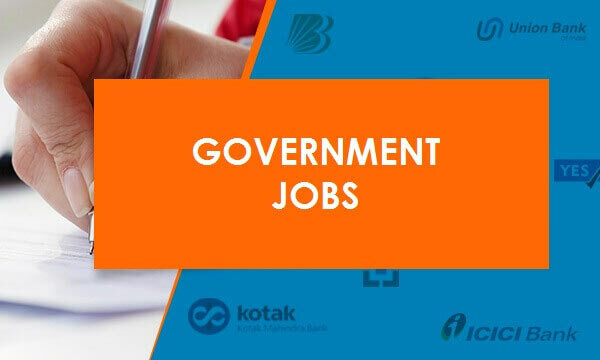 These courses not only answers your query of “Should I study or work” but also, train people to become the best suitable candidate to work in that respective agency or firm. Also, YMCA, Delhi is one of Delhi’s best institute for such courses. The answer to the your very own question “should I study or work” lays in this blogpost. The above listed are few avenues to choose from. Whether you wish to take up a job or end up doing a course, the most important thing is to be happy and work towards getting that inner satisfaction. Lastly, not to forget, Nothing stands in the way of strong will and determination!